After last week's disastrous delay, you would guess that we would make a special effort to get this week's episode out on time. And you'd be right! Here it is! This week's guest of fail is board game guru Conrad Zimmerman. Listeners get the special deal of hearing him not only on this week's preview episode, but also on next week's full episode! (Don't say we never did anything for you.) Hear Conrad talk with Charlie and Necros about how board gamers are actually pretty cool guys, unlike certain other fandoms. Also, there is a discussion about cake. Delicious, tasty cake. Aw yeah. 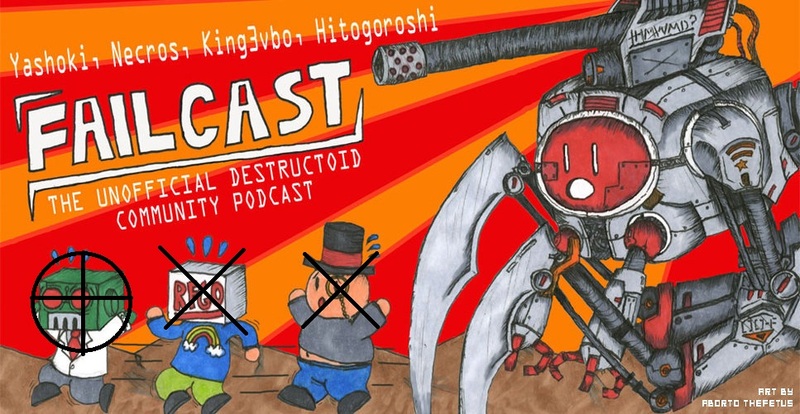 Don't forget that Failcast is now featuring community audio segments in the full episodes, so make sure to send us submissions to [email protected] by this Tuesday night. If you're curious, next week's show will have a more "retro" theme, for better or worse, so use that as a jumping-off point for your submissions if you want to. All the cool kids download.